Farrar, Straus and Giroux, 9780374280123, 192pp. The events that began in 1995 might keep happening to me as long as things can happen to me. Think of deep space, through which heavenly bodies fly forever. They fly until they change into new forms, simpler forms, with ever fewer qualities and increasingly beautiful names. There are names for things in spacetime that are nothing, for things that are less than nothing. White dwarfs, red giants, black holes, singularities. But even then, in their less-than-nothing state, they keep happening. At twenty-one, just starting to comprehend the puzzles of adulthood, Sarah Manguso was faced with another: a wildly unpredictable disease that appeared suddenly and tore through her twenties, vanishing and then returning, paralyzing her for weeks at a time, programming her first to expect nothing from life and then, furiously, to expect everything. 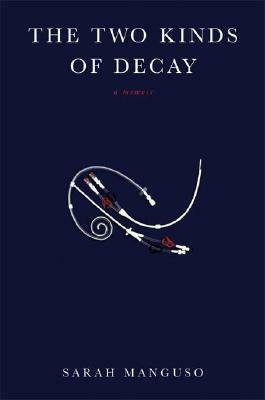 In this captivating story, Manguso recalls her nine-year struggle: arduous blood cleansings, collapsed veins, multiple chest catheters, the deaths of friends and strangers, addiction, depression, and, worst of all for a writer, the trite metaphors that accompany prolonged illness. A book of tremendous grace and self-awareness, The Two Kinds of Decay transcends the very notion of what an illness story can and should be.